Lyrical, striking, quirky, charming and eccentric; video artist and photographer Alma Har’el’s debut feature BOMBAY BEACH is a tender, often funny and sometimes heartbreaking portrait of the idiosyncratic residents of California’s Salton Sea. The rusting relic of a failed 1950s development boom, the Salton Sea is a barren Californian landscape often seen as a symbol of the failure of the American Dream. A sea in the middle of the Colorado desert. 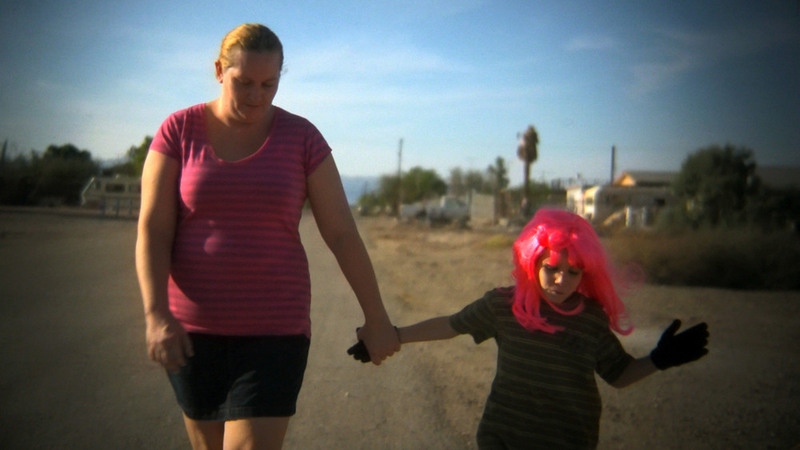 First-time director Alma Har’el visits this poetically fruitful terrain in her distinctive documentary Bombay Beach, and finds there a motley cast including a bipolar seven-year-old, a lovelorn high school football star, and an octogenarian poet-prophet. Together they make up a triptych of American manhood in its decisive moments, populating the Salton Sea’s land of thwarted opportunity. True to her roots as a photographer, video artist, and music video director, Har’el crafts here an adamantly atypical and artistically innovative film—a dreamlike poem that sets the personal stories of these distinctive yet familiar characters to a stylized amalgam of observational documentary and choreographed dance, with music by Beirut and Bob Dylan, all cast against the atmospheric scenery of the titular ghost town. The result is a moving and surreal documentary experience—an evocative, symbolic portrait of rural America and its inhabitants. Winner of the Tribeca film festival doc competition. Born and raised in Israel Alma Har’el began her work as a photographer and a video artist. While working in NY and London her live video-art performances with musicians led her to directing music videos and her frequent collaborations with singer Zach Condon of the band Beirut brought her several nominations in film and music video festivals around the world. The video for Beirut’s “Elephant Gun” was chosen as one of the best videos of the decade in 2010 by several publications. Her work is recognized for her expression through modern dance, landscape and character and for her ability to create images with an honest balance of emotions; heavyhearted as much as they are joyful and playful. Currently she lives in Los Angeles where she recently directed Bombay Beach, her first film. "Film of the Week The Most extraordinary documentary"
"Finds an uplifting beauty through dreamlike choreographed danced scenes"